In written music , melody and rhythm are expressed horizontally, harmony is expressed vertically. There are five chords moving horizontally. The five part harmony is the vertical line, bass at the bottom. The squares are differentiated by color and brush stroke, with quarter notes leaning in all directions. 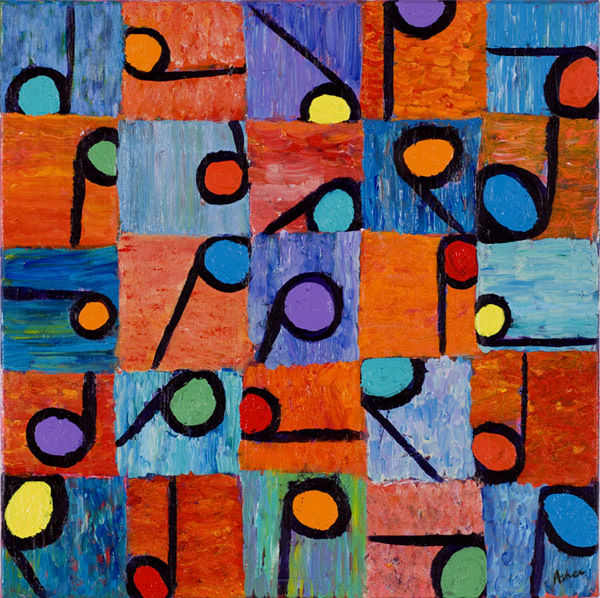 This painting is influenced by both Paul Klee and Jasper Johns but it looks and feels like a Duke Ellington jazz progression.